With October only a day away, we're really looking forward to the warming foods of fall - soups, stews and chilis! We're cooking up some new healthy comfort food recipes and are excited to share them with you in the next few weeks. In the meantime, keep a look out for our favorite root veggies - we'll be including them in our GO Bags. Fall veggies, like root vegetables, that are harvested at this time of year, are beauty superfoods! Get your fill of these and you'll be bright eyed and bushy tailed for the work week ahead. Pumpkin isn't actually a vegetable. It's a very large berry! But like tomatoes and other fruity vegetables, it gets the savory treatment enough to be a vegetable by association. If you're cooking pumpkin, especially for pie, make sure to buy a pie pumpkin. Just a cup or so of antioxidant, anti-inflammatory pumpkin puree has enough beta-carotene to deliver seven times the recommended dietary allowance for Vitamin A.
Vitamin A is crucial for beautiful skin, hair nails, bones and teeth. Lutein protect eyes from aging and free radical damage. High fiber and natural diuretic properties detoxify and reduce water retention. → What to do with it: Once you have a pie pumpkin you can make pumpkin puree to use in homemade pumpkin pie. If you want to stay savory, roast the pumpkin and eat it like butternut squash, or make Pumpkin Chili! Carrots may seem like a spring vegetable, but they tolerate light frost, and many farmers plant them near the end of the summer to extend the harvest. Look for small, sweet fall carrots this time of year. Carrots are one of the best veggie sources of beta-carotene, which the body converts to Vitamin A. Vitamin A keeps skin, hair nails and eyes beautiful by promoting natural cell division, regenerating collagen, regulating oil production, and slowing the natural deterioration of eyesight as we age. Source of biotin, a nutrient that is important for healthy hair growth and blood sugar regulations. → What to do with them: Roast, roast, roast! They make for a great soup too - either diced and added to stock or pureed in carrot ginger soup. Keep a look out for our carrot ginger soup over the next few weeks. 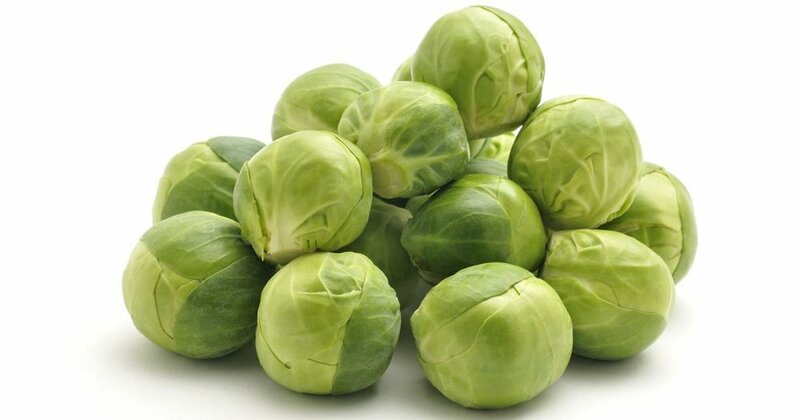 Brussels Sprouts small shape and mild cabbage flavor have made them a hit in the kitchen. The compact size means they roast beautifully, with crispy charred edges. Brussels sprouts top the charts for cancer-fighting glucosinolates, many of which break down into sulforaphane, a phytochemical that lowers inflammation, protects cells from DNA damage, revs up the body’s production of anti-aging glutathione, and reduces redness and damage caused by UV exposure. Contain phytochemicals that eliminates excess estrogen and keep hormones in balance. Keep collagen production humming with Vitamin C.
Nourish healthy blood vessels and bones, and regulate levels of aging inflammation with Vitamin K.
→ What to do with them: One of our favorite ways to cook Brussels sprouts is to blitz them in the oven and snack on the crispy leaves that fall off. This funny-shaped vegetable is so creamy and rich inside; it can practically stand in for cheese or cream once it's roasted. Make sure you know how to peel and cut up a butternut squash safely. Full of beta-carotene, which converts to Vitamin A, butternut squash is a great to smooth your skin, decrease UV sensitivity and protect your scalp and eyes. → What to do with it: Roast or steam, or puree to make a butternut squash. But don't worry, we've got your covered. Stay tuned for our butternut squash soup. Better yet, join our mailing list to stay up to speed on farm musings and weekly menus. Acorn squash is like the single-serving wonder of the squash world. Cut in half, roast until creamy, or fill with a fluffy quinoa stuffing. You need a variety of beauty minerals for the healing processes of your body to run smoothly and energetically, acorn squash can help. High in minerals, the iron in squash keeps hair and nails from becoming brittle and thin, while its Vitamin C helps your body use iron its fullest. Offers plenty of B vitamins like niacin which is key for circulation and DNA repair, and thiamine and pantothenic acid, both important for a healthy metabolism. → What to do with it: Stuff with other vegetables or meat and bake for a complete supper, or slice into rings and bake. Great added to a hearty kale salad. Sweet potatoes and yams are a star at the Thanksgiving dinner table. But they're also a great way to sweeten up boring lunches and dinners the remainder the of the holiday season. These sweet orange delights can be a meal all by themselves in the fall! These tasty root veggies are full of beta-carotene, an antioxidant pigment that converts to the powerful vitamin A. Just 1 cup of cooked sweet potato packs an amazing 769% of your daily needs for vitamin A, along with doses of vitamins C and B, especially B6. Keeps skin smooth and cell division running smoothly. → What to do with it: Sprinkle with cinnamon and roast in the oven, add to bean chili for extra flavor, or mashed on the side. Cauliflower is at its best and freshest in the fall, since cauliflower doesn't really produce heads in hot weather, and it's frost tolerant once mature. Like all these other vegetables, it's wonderful roasted, but it can do so much more. 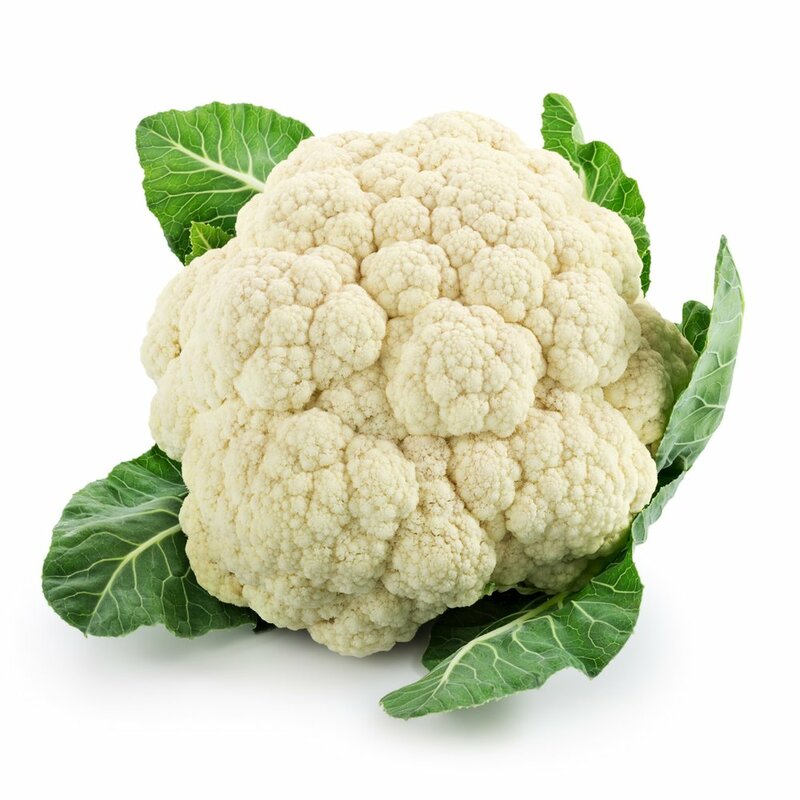 While cauliflower does contain some calcium, it’s the vitamin K in its florets that really boosts bone health, especially if you’re also getting plenty of vitamin D in your diet. Great source of sulforaphane, a powerful phytochemical that turns on the production of anti-aging and protects against diseases causing chronic inflammation. Also has anti-cancer properties and essential amino acids. → What to do with it: Make soup, grate into cauliflower rice, or get really adventurous and make into a pizza crust. Turnips have an intense flavor, so look for the smallest baby turnips you can find in the fall; they are sweeter and more mild. They're wonderful roasted (of course!) and their mild bitterness means that they take well to sweet glazes. The turnip is a member of the Brassica family, along with veggies like broccoli and brussel sprouts. Its biggest beauty benefit happens to be its power to stop stress-related inflammation from reaching chronic status in the body. Contains phytochemicals that could fight leukemia. Reduces redness and damage caused by UV exposure. Full of fiber that helps satiate and detox. Packs plenty of Vitamin C, Vitamin A and Calcium. → What to do with them: Make soup or roast them with a maple syrup glaze! Yes, kale! By now, you are familiar with this high power leafy green. But it doesn't change the fact that it's still a fall staple, and it's at its best this time of year. After the first frost or even snow kale gets so mild and sweet — it's the perfect time to put it in slaws and salads. So we’ve all heard that kale is good for you (no longer a garnish on our dinner plates). Did you know that eating kale regularly could do more for your skin that your night cream? Just 1 cup of kale delivers over 200 percent of your daily vitamin A and 130 percent of your daily vitamin C – two of the most important anti-aging vitamins in your diet. That cup of kale also has a staggering 684% of your Vitamin K needs. Supports detoxification in the liver, which is important for clear skin. Cancer-preventative and buffers inflammation caused by stress. → What to do with it: Toss with pasta; cook slowly and braise; make a big salad and have it for lunch for the week. Since kale is so hearty, it's great thrown into soups or in stir fries and side dishes. Have a question or comment? Want to know more about our meals and GO Bags? Shoot us an email at barb@9mileseast.com.